With Wonder Woman slated to make her big-screen debut in two months, DC Comics is giving the Amazon princess a considerable comics push, beginning with the release of the new The Legend Of Wonder Woman miniseries by Renae De Liz and Ray Dillon. The first print issue of this digital-first series hits stands next week, and it’s a phenomenal take on the heroine’s origin story, ignoring recent changes to the character’s history in the New 52 and offering the classic version of Wonder Woman. 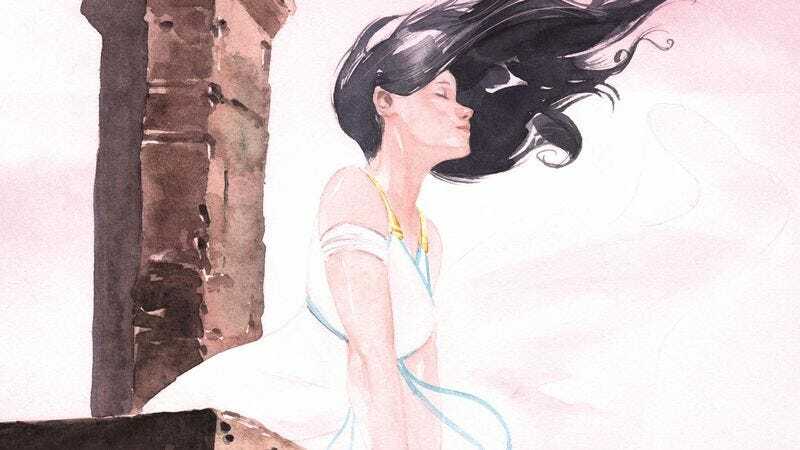 Written and illustrated by De Liz, the new series takes its time establishing Diana’s character and her mystical, isolated island home of Themyscira, tracing the princess’ growth from a curious girl to a powerful young woman and devoting ample attention to her relationship with the other Amazons. These preview pages spotlight young Diana’s bond with her protective mother, and end with Diana encountering Alcippe, the Amazon warrior that will become another maternal figure for her, albeit a much more aggressive one. Diana doesn’t want to follow the path her mother has set for her life, and this conflict between her duty as princess and her burgeoning adolescent desire to break free is where the heart of the series lies. I’ve read the nine chapters of The Legend Of Wonder Woman available digitally, and the series has quickly established itself as one of the strongest Wonder Woman comics DC has published in recent years. De Liz’s story is heartfelt, action-packed, and appropriate for all-ages, her artwork is hugely expressive and ornately detailed, and Dillon’s inks, colors, and letters give the visuals a sleek, vibrant finish. It’s a gorgeous series, and this creative team’s passion for the character is evident on every page.